We are waiting for spring to show its lovely face so we can get back to work. After a long winter we are just waiting for some 50 and 60 degree days to shake off the cabin fever. What are you waiting for? Do you drive up to the house and wish it looked better? Have you been yearning for a new patio in the back yard? How are those neighbors doing? Maybe it’s time to plant a hedge so they can stay in their own yard. Does your yard or basement flood every time it rains? What better time than now to start the journey to a beautiful landscape? Like carpeting in a house, ground cover is the last thing to go into the landscaping. Groundcovers serve more than one purpose in the garden. Undervalued, and improperly used, groundcovers are the Cinderella of the landscape. 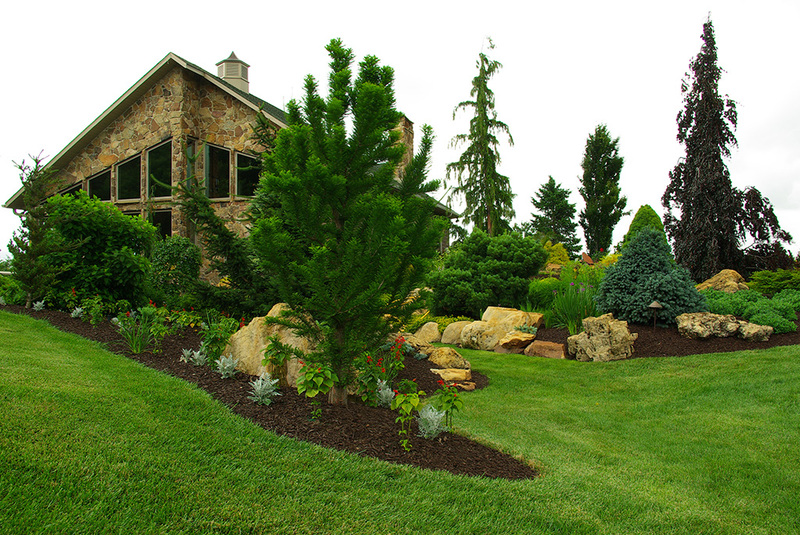 These plants are living mulch, suppressing weeds, conserving moisture, and reducing maintenance. They are the workhorses of the plant world. 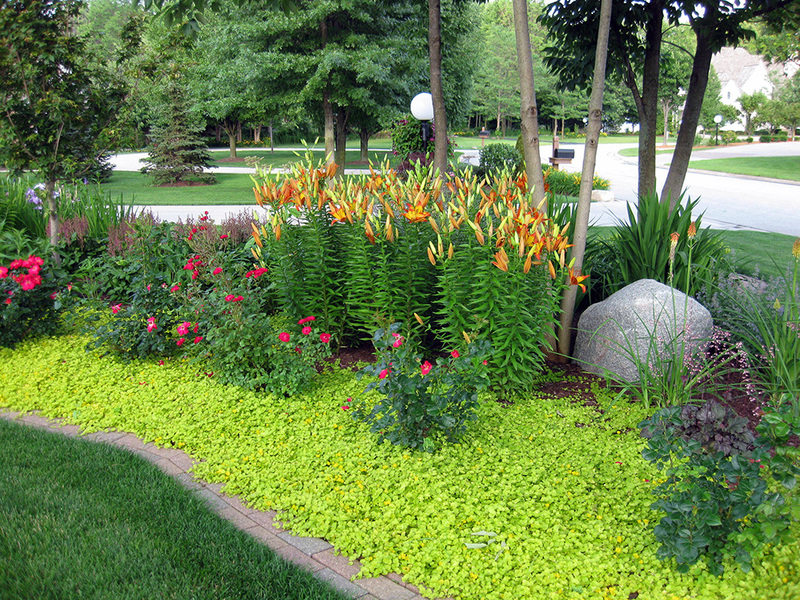 Groundcovers add another dimension of color and texture by complementing and enhancing the plants they support. We use many varieties of ground cover including dozens of Sedum varieties, Mazus Reptans, Ajuga, and Pachysandra to name a few. The variation is varieties is astonishing. Virtually any color or texture can be found to balance and enhance a garden. Ground covers, when chosen well, can be as beautiful as they are useful. They give the finishing touch that elevates the landscaping to the realm of fine art. Have you ever slowed down to drive by a beautiful home or landscaping? Do people do the drive-by in front of your house or do they go by so fast you don’t know if they were driving a Ford or Ferrari? Your driveway entrance is an invitation to your guests to enter your space. A driveway entrance is often one of those areas in our yard that get neglected. We see a few straggled survivors or leftover plants by the road. Sometimes the beds are neglected and overgrown. No matter the shape or size, a well-planned and planted driveway entrance creates a visual journey with promises of what awaits your guests upon their arrival. What does your driveway entrance say to passersby? What does it say about you? Is it drive-by worthy or just another unremarkable blip along the road. Do drivers want to slow down just to imagine what they might find if they turned in and ventured to see you?